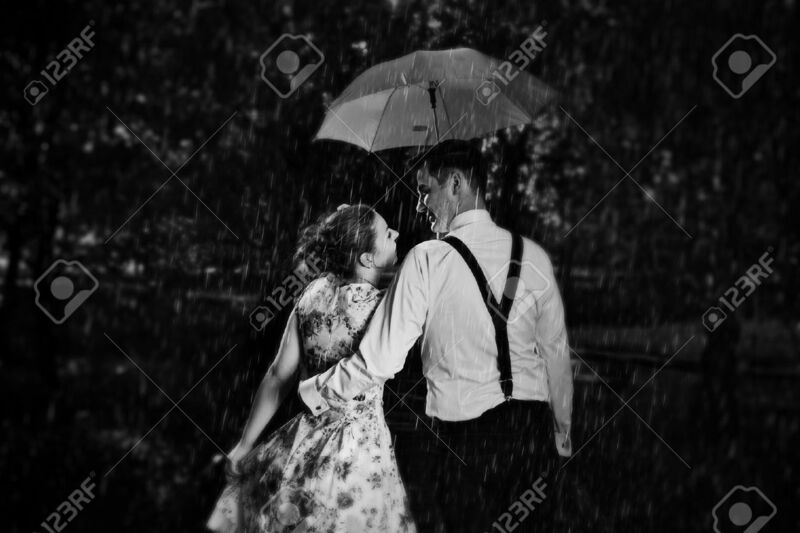 Young Romantic Couple In Love Flirting In Rain, Man Holding Umbrella. Dating, Romance, Black And White Royalty Free Fotografie A Reklamní Fotografie. Image 42202486.